This highly experiential program enables students to examine world view in the Sub Saharan Africa region. We look at the common trends from pre-colonial times through to the modern day. Though the Zimbabwean situation will be the primary point of reference, other countries are also explored, with a deep look into how worldview impacts on the politics of African nations, their culture and social justice issues. This program incorporates discussion times and lectures with embassy dignitaries, village elders, anthropologists, missionaries, justice advocates and leaders of humanitarian organizations. In a context in which many experience systemic corruption and injustice, students will have the opportunity to spend time with those fighting for the rights of the voiceless. The program is strongly designed around practical engagement with many field experiences in order to help students compare the theoretical aspects of the program with reality. We examine some of the fundamental differences between individualistic and collectivist cultures, exploring their respective strengths and weaknesses. This stunningly beautiful and exotic part of Africa is hugely varied from bustling modern cities to open savannah and isolated subsistence villages. As we engage with a number of traditional, rural communities we will discover lifestyles and places little changed over the last 200 years. Those enrolling in this program will ideally have a background in some of the following: anthropology, psychology, sociology, theology, politics or other related fields. In order to thrive and experience the full benefits of this program, participants ought to be culturally-aware and open-minded. A good command of the English language is essential to participate on this program as all lectures and tutorials will be conducted in English. Much of Zimbabwe is relatively undeveloped with a significant part of the country made up of large national parks and rural communities that follow a traditional way of living, including traditional African leadership structures with headmen and chiefs. The country is home to one of the original 7 natural wonders, the Victoria Falls as well as Great Zimbabwe, an abandoned medieval city that was the capital of a regional kingdom existing from the 11th to 15th centuries. Today the economy is largely centred around the bustling modern-day capital city of Harare which is also one of the continents safest. English is the official medium of education and so foreign students are able to meaningfully engage in even the most rural of locations. Students are stationed at a comfortable private guest house in the capital city Harare for half of the course. The balance of the time is spent on various field trips which include rural subsistence communities, the Great Zimbabwe ruins, a private game reserve and the Victoria Falls. Explore the ways in which democracy and justice outwork themselves within an African context. We will help by supplying you with all the necessary documentation and supporting information you will need to apply for credit through your home university or college. Barry graduated with a Bachelor of Social Science Degree from the University of Cape Town. He has a tertiary education background in sociology, economics and law, plus experience in the financial services sector. 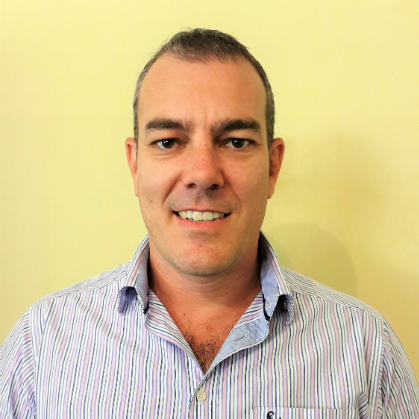 Barry moved from Cape Town to Harare about twelve years ago before taking on a role as the General Manager for EDU Africa. He is in love with Africa and counts the opportunity to introduce others to this continent and its people an absolute privilege. Barry follows current affairs closely and is equally at home in both urban and rural environments. 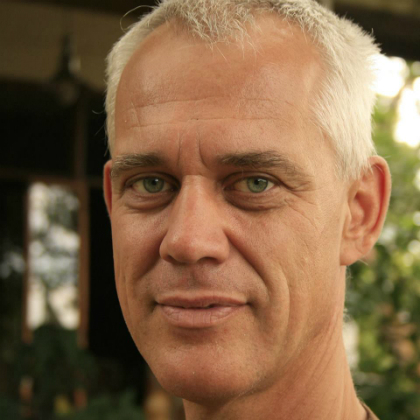 Gertjan is a Research Fellow at Great Zimbabwe University. He holds an MTech from Nelson Mandela Metropolitan University and a PhD in Cultural Studies from Tilburg University in the Netherlands. 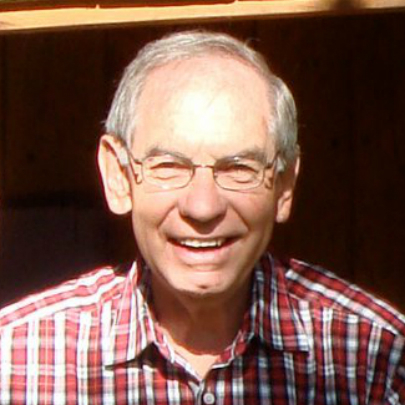 Gertjan has lived in a variety of urban and rural areas within Belgium, India, Netherlands, Swaziland, Zimbabwe and Zambia. He is a highly passionate speaker and innovative thinker in the area’s of African and cultural studies. His profound perspectives see him speaking internationally on a variety of stages. 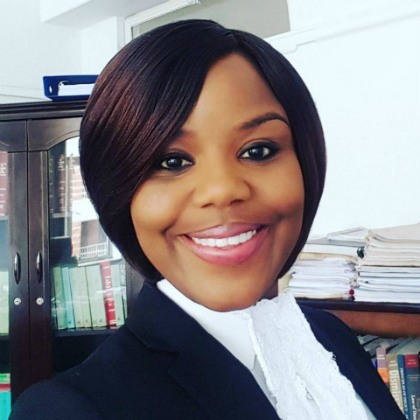 Fadzayi Mahere studied for a Bachelor of Law Honours degree (LLB Hons) at the University of Zimbabwe. After graduating, she went to the University of Cambridge in 2010 for a Master of Laws, International Criminal Law & International Commercial Litigation. Her special area of focus was on election violence as a crime against humanity under international law. Fadzayi practiced for a year in the Prosecution Division of the International Criminal Court in The Hague. She is currently Advocate of the High Court, Supreme Court and Constitutional Court of Zimbabwe. While she lectures at the University of Zimbabwe, she is also the spokesperson for a prominent political resistance movement which is vocal when it comes to holding governmental institutions to account on their decisions and actions. In the late 70s, Brian decided to try a no-till farming approach, as opposed to the plowing method he was accustomed to. Within six years, his farm became so fruitful that it grew to be the second largest privately owned farm in Africa! It was subsequently forcibly taken from him a few years later. Feeling that he could not keep this knowledge and skills to himself, Brian set up demonstration plots around Zimbabwe. This became the advent of Foundations for Farming (FfF), a model that has spread from Zimbabwe into at least 32 African countries and three continents. Straight out of high school Jessica joined Youth With A Mission (YWAM), an evangelical interdenominational, non-profit Christian, missionary organization. During her time with YWAM she served in several nations and cultures including Haiti, Mexico and several African countries. During her outreaches she gained insight on how where we come from and what we have been exposed to has an irrefutable impact on how people view their world and the faith practices they pursue. She served with YWAM for about ten years, during which time she acquired her Bachelor’s degree in Biblical Studies. Jessica moved back to Zimbabwe where she did her Master of Arts degree in Leadership and Management while she worked with Foundations for Farming. She then joined Operation Mobilization (OM) as Field Leader in 2016. OM is a Christian organization founded to mobilize young people to live and share the Gospel of Jesus. Fees and additional expenses are based on all known circumstances at the time of calculation. Due to the unique nature of our programs and the economics of host countries, EDU Africa reserves the right to change its fees or additional expenses as necessary. Basic Books, and Printed Reading Materials. Individual interests and extra-curricular activities determine how much extra each student needs to budget for their stay in Zimbabwe. All meals and accommodation are covered in the room and board fee. Incidental expenses, as well as any non-program related travel costs, are the responsibility of each student. Optional activities in Victoria Falls and at Antelope Park are also at the discretion of the student. 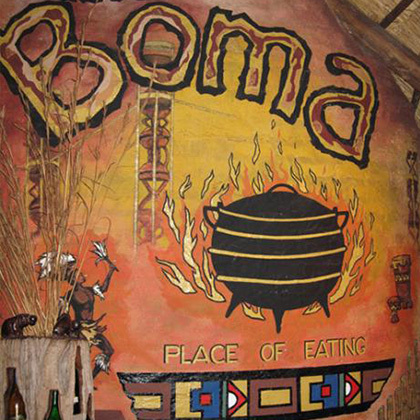 Meaning “the place of eating,” Boma appeals to the senses with a variety of local dishes including game meat such as kudu, warthog and ostrich. Guests are welcome to take part in traditional drumming and dancing. You even have the opportunity to eat a local delicacy – mopane worms! 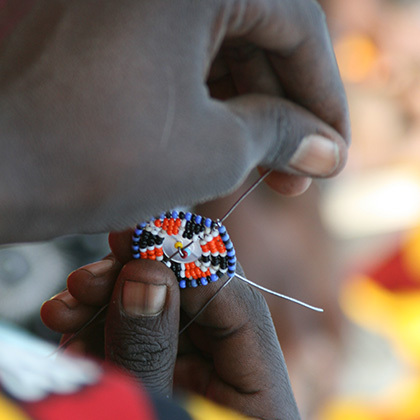 Enjoy a cultural evening with Zimbabwean musicians, after which the local craftsmen will be available to teach you how to craft beautiful pieces of jewellery and sculptures. This cultural immersion experience will not only teach you new skills, but give you insight into the cultures and traditions of the people of Zimbabwe. Visit the famous Victoria Falls Hotel, renowned for it’s colonial-era architecture. This five-star hotel is only a ten-minute walk from the falls themselves, and was built in 1904 as a key part of the “Cape to Cairo” railroad dream. 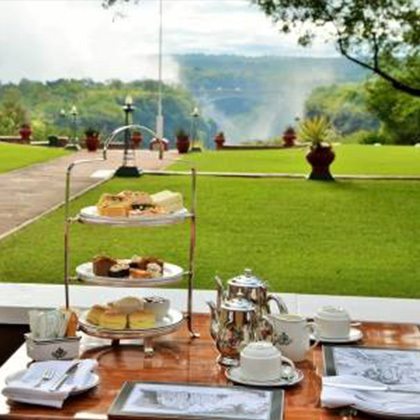 Today, enjoying a high-tea on the terrace gives you insight into what life was like over a hundred years ago as you gaze at the Victoria Falls Bridge, mist rising from the thundering waterfall. These ferocious, predatory fish lurk throughout much of the Zambezi, catching prey with their enormous jaws and needle-like teeth. 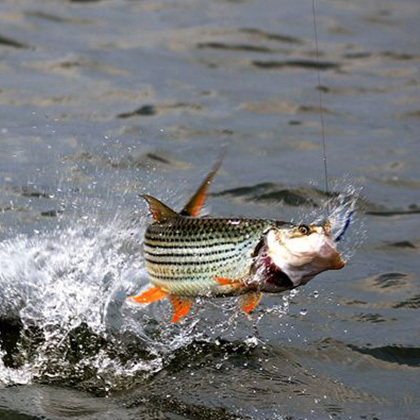 Add a tiger fish to your repertoire during your sports fishing adventure on the Zambezi. 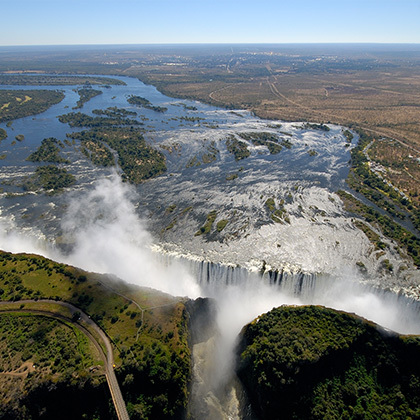 Hover through the pounding mist of Victoria Falls as you explore the stunning landscape from the air. A specially designed helicopter, providing panoramic visibility to every passenger, takes you high into the sky to be truly encompassed by the mesmerizing grandeur of the falls. 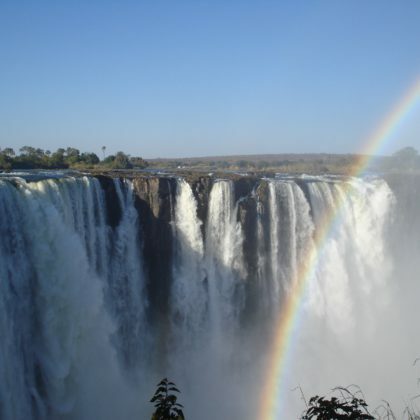 Known as the “smoke that thunders,” Victoria Falls is one of the seven natural wonders of the world. The waterfall system is the largest on Earth, about 1.7 kilometers wide and one hundred and eight meters high. Enjoy being awestruck by the sheer magnificence of the falls.